There were SO many great suggestions for my year of no-buying-new-clothes post. I don't know how I'm going to pick! Drawing out of a hat is becoming more and more alluring. ;) Meanwhile, I had some requests for my popovers I posted on instagram. They're pretty much a regular breakfast around here, because they're a nice vehicle for any sort of saucy goodness you want to put in them. A while back, something got one of our chickens. Grrr. We have played detective...or, I just asked my friend who also has chickens. She said since there weren't any feathers, or remains, it was probably a fox. And we've seen a fox around here before, so now they're enclosed with some heavy duty netting during the day, and in their fancy coop at night. Maybe the chickens should get their own post, silly girls. All I was really getting at was that we still have plenty of eggs with one less hen. We did have a funny tiny egg, the size of a quail egg, for a couple of days. I guess one of them was taking some time off. 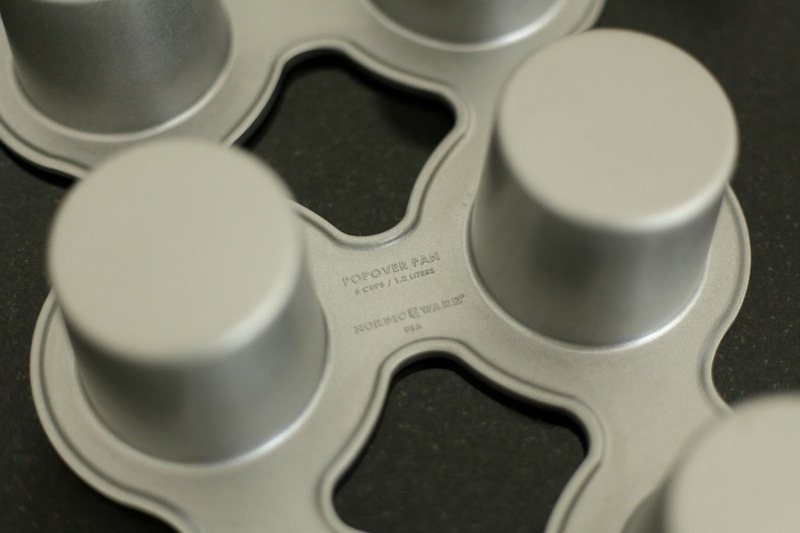 popover pans (I normally bake two at a time) from Amazon, which seemed to be the best price, but as I was looking, I also noticed that they have a mini popover pan! How cute would that be! 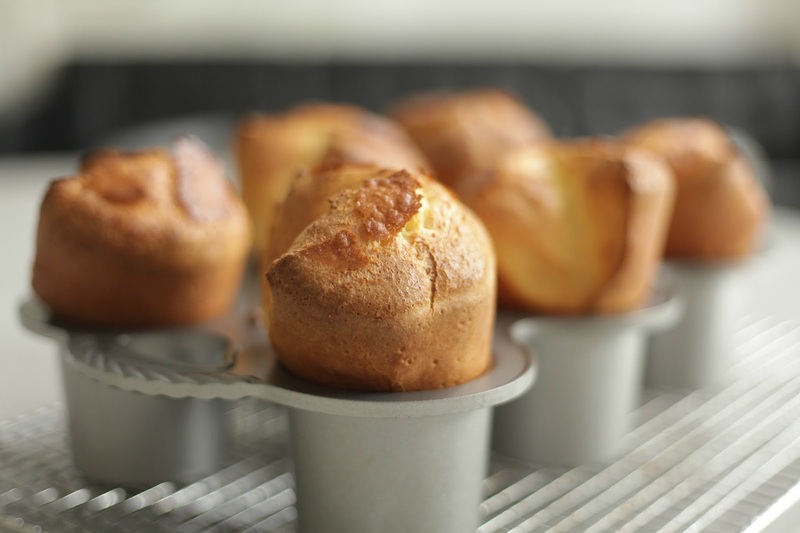 Bite size popovers! I might have to put that on my list for Santa this year. Preheat oven to 425ºF. 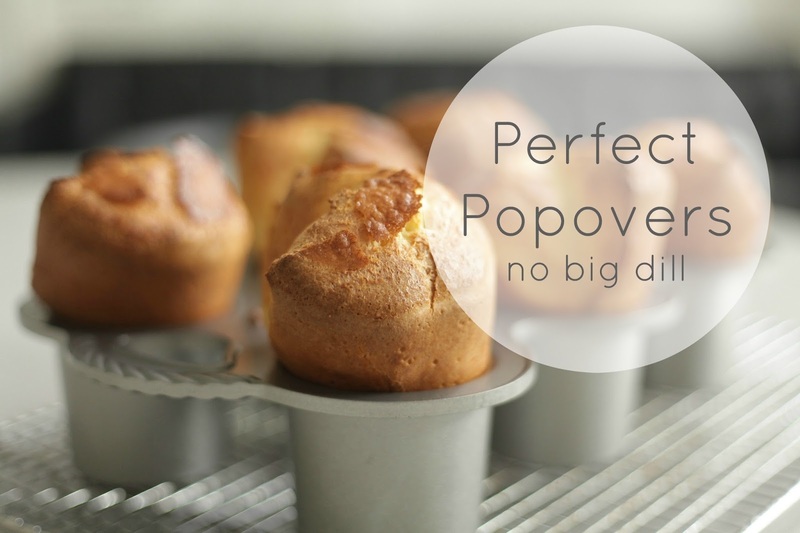 Grease popover pan(s) with butter, coconut oil, or shortening with lots of generosity. ;) Place all ingredients in a blender and pulse until smooth. Evenly distribute the batter between 6 cups, it should fill them slightly more than halfway. Bake for 20-25 minutes without opening the oven. If you want a less doughy center, you can then reduce the temperature to 350º and bake for another 10 minutes, but I like a crispy outer with the soft center. 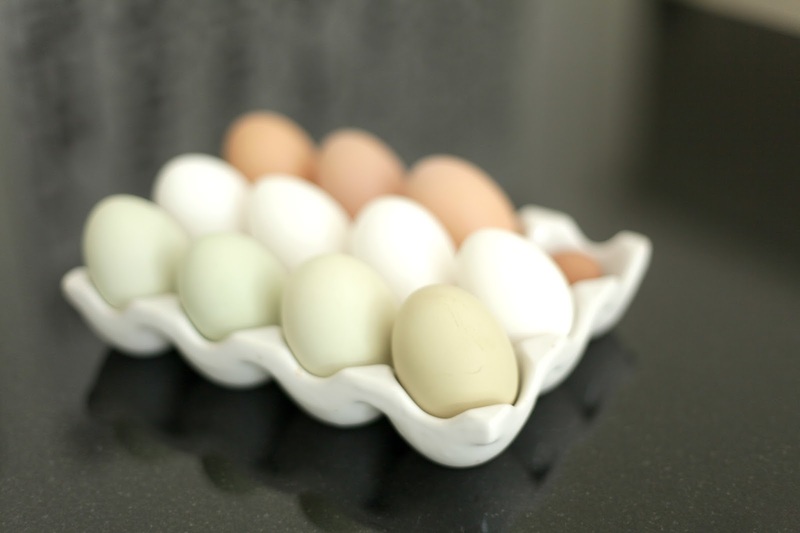 Notes: if you don't want to wait for your milk and eggs to be room temperature, pop the milk in the microwave for a few seconds and put your eggs in a bowl of warm water. Voilá! What next? Pearl will usually make honey butter. I like my homemade peach jam that never sets up and is more of a sauce than jam. Maybe I subconsciously purposely sabotage my jam so I can have sauce for these breakfast instances. We will go with that. I also like our homemade orange sauce, which I though I had posted on here in the past, but I couldn't find it, so I'll have to share soon, too. One night I brought home a rotisserie chicken and made these, and Ryan put chicken in his! It's better than chicken and waffles because it's a built-in pocket! It's a favorite around here, as you can see. 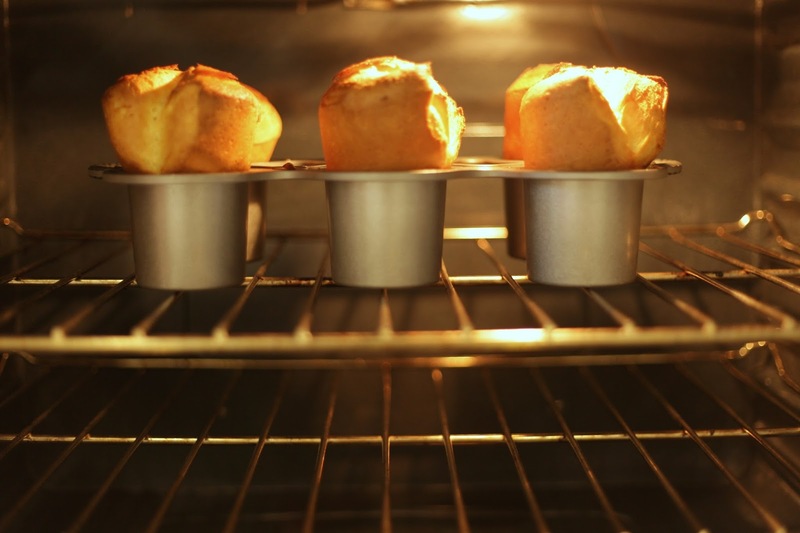 One day I'd like to open up a popover restaurant and have a different butter or sauce for each season or month. One day. I'm available to "pop over" for some popovers. Your blog is good looking. I enjoyed your blog very much. This is really interesting information for me. For an even bigger rise, start them in a cold pan, cold oven, with room temp ingredients. Same principle goes for pannekoekens.